This box contains 1 piece RIEDEL Veritas Viognier/Chardonnay. 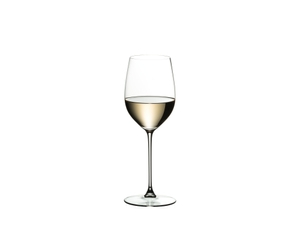 The unadorned machine-made Viognier and Chardonnay glass of the light-weight glass collection RIEDEL Veritas distinguishes lighter, finer and being suitable for long term daily use at home. 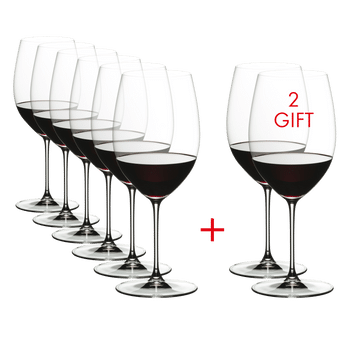 The classic RIEDEL shape allows young wines to express all their invigorating freshness, while more mature wines are encouraged to deliver the nutty, spicy, mineral flavors. This glass is designed that the low acidity is delivered in a way that sets off the alcohol and rich flavors of the wine, highlighting its velvety, supple texture, emphasizing the fruit and ensuring a long, balanced finish. RIEDEL VERITAS combines the charm of a handmade glass with the consistent accuracy only a machine made glass can achieve. All RIEDEL glasses are dishwasher safe.